This is a must for you to recognize that every single habit can surely determine your finance. 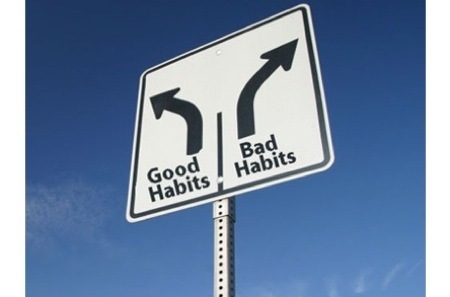 If you deal with good habits, your finance must be in good wealth. In contrary, if you stay with negative life styles, your finance must be damaged as soon as possible. Therefore, you have to know and notice every single habit that can harm your finance. The first habit that must be left behind is focusing on “wants”. You are intended to be mature and know the difference between “needs” and “wants”. Actually, the priority is on the “needs”. “Needs” fulfill your life. In contrary, “wants” come from passion. If you cannot control the “wants”, you will get extra and huge expenses. Therefore, you have to control yourself for anything that can ruin your lifestyle. When you come to negative and glamour lifestyle, you will pay for anything that you don’t need. The next habit which can ruin your finance is being ignorant. So many people just focus on their present life and needs. They haven’t made serious plan to deal with future life. Actually, this is very important for every single people to make investment. Saving your wealth for investment must be much worth for better future.